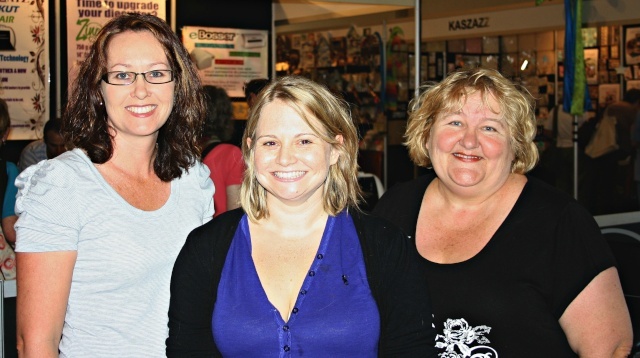 I just wanted to share that I had the pleasure of meeting 2 other SBT50 forum members at the Sydney Paper crafts festival last week. I meet Annette (Claddagh Cottage) and Donna (donna.oconnell) of Ah Scrap. Both such lovely ladies and it was awesome to meet them. Donna and I have been chatting for a bit over email as I'm currently GDT for her handmade goodies company Ah Scrap, http://ahscrap.blogspot.com.au so It was great to get to know her a bit in person. Annette and I got to get our craft on together! We did 2 classes, 1 was Lou Nelson's class, awesome freestyle class. And the other was Nic Howard's class. It was awesome crafting with you Annette. I ran out of time to do much shopping with all the classes, but I did manage to pick up some chipboard and some alphas. Annette I hope you will share your layouts from Lou's too. They were gorgeous! Oh wow. Thanks so much for sharing. I love you LO from Louise's class.....very awesome. I love tht it still has some of your style in it too. Are you going to show us your LO from the other class. Annette - yes please show us your LO too. Would love to see. Love the photo of the three of you. Annette have you seen this post? I have some sea shells I could send you....what size are you looking for? Thanks Ant. I'll the know the size when I see it LOL. I found a few very small ones and a star fish. I'm hoping a bit of bark/wood scrubbed with bleach will come out looking like driftwood and then maybe I wont need anymore shells. 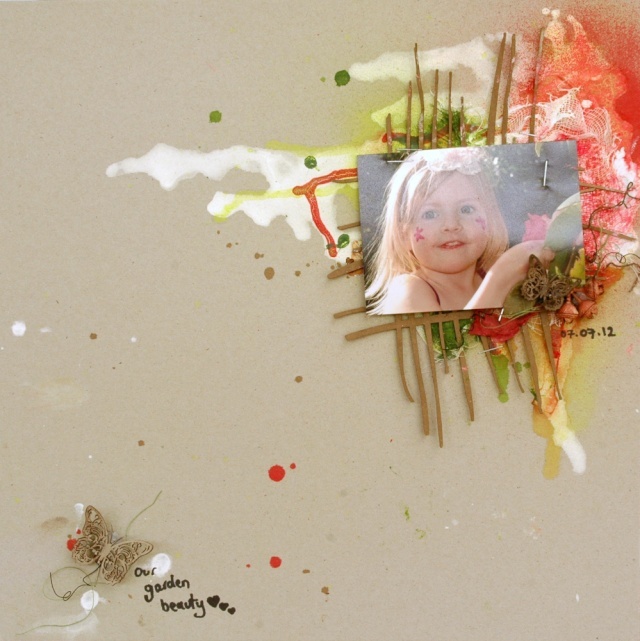 Here is one of the LO done with Louise, using glued down tissue paper, gesso, glimmer mists, twine , shells, gauze, bark, inked butterflies, and a one of redants 'little bit fANTsy' pins. The class with Nic Howard was a page designed specifically for the papercraft class, so my LO, like everyone elses, was pretty much completely scraplifted. Since its not my original work I have only shown a little bit.